In this case, Aggregate Industries needed to construct a footpath around its asphalt quarry in Rockbeare, which is also used for the sale of dry materials. 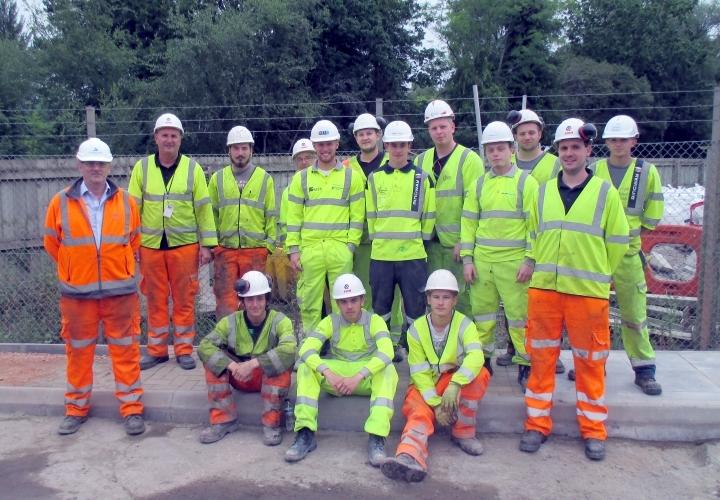 They offered to supply the materials required and SWH Group provided the apprentices to carry out the work. The apprentices were required to complete risk assessments, site inductions and method statements to complete the work to the client’s specification. This allowed them to utilise the theoretical skills they have already learned, including health and safety considerations to practical tasks such as conducting CAT Scans to locate underground services. SWH Group and Aggregate Industries plan to create more practical exercises such as these, adding in additional challenges such as health and safety spot checks to simulate a real site environment. Find out more about our Apprentice Opportunities. This entry was posted in Apprenticeships & Training and tagged apprenticeships, swh training by Sarah Cole. Bookmark this permalink.